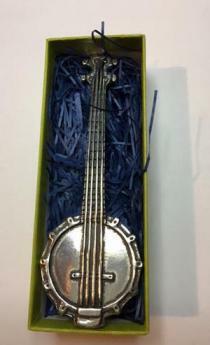 What a cool gift for the banjo player, country music lover, or chef in your life! 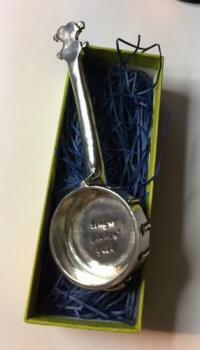 This beautiful hand made lead free polished pewter (tablespoon) measuring scoop in form of a 5 1/2" banjo is handmade and so clever for serving or use as a coffee scoop. It measures a true tablespoon for cooking and comes in a very nice gift box.